We offer a professional and expert fire door inspection service that is independent and flexible. Our Certificated Fire Door Inspectors are fully qualified under the Fire Door Inspection Scheme (FDIS); and have been assessed by Exova Warringtonfire, an independent third party. 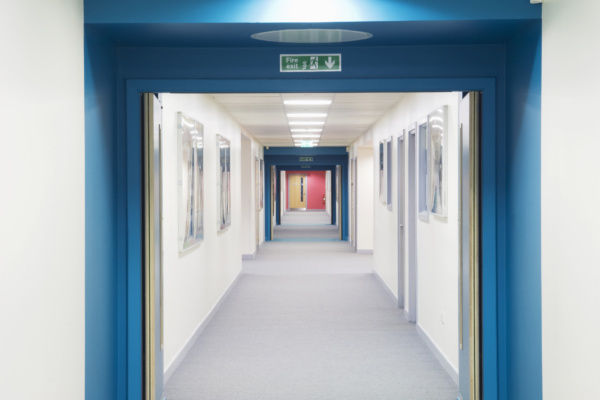 Certificated to carry out the inspection of your building’s fire doors and prepare a detailed survey and report on the condition and function of the fire doors on your premises. We check and test over 25 individual factors and components of your fire doors and issue a fully detailed door schedule and remedial report highlighting fire door status and compliance. We will provide you with a detailed inventory and written report on the condition and functionality of each fire door. The report is held securely online. This report may be used by the designated Responsible Person as part of regulatory requirements in a fire risk assessment of the building. Requirements for any remedial work are identified in the report. A label is attached to each fire door indicating when the inspection was undertaken, and demonstrating to the users of the building that the doors have been surveyed professionally. Visit our Resource Centre to find out more about the Regulatory Reform (Fire Safety) Order 2005 and whether you're responsible.